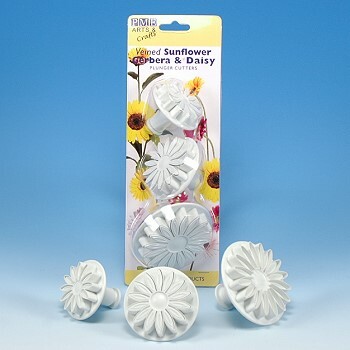 Create beautiful and authentic looking Sunflower & Daisy blossoms with these specially designed plunger cutters. 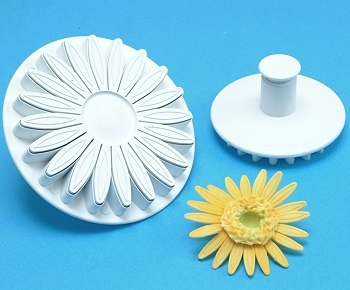 3 piece set, can produce a small (1 3/4"), medium (2 1/4") and large Sunflower & Daisy blossom (2 3/4") with an embossed veining pattern. 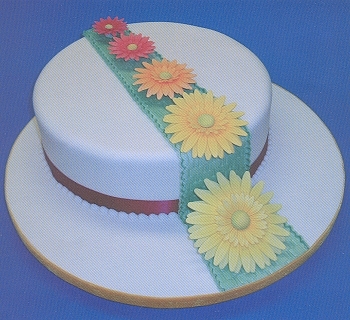 Made of plastic, height 2 1/4"